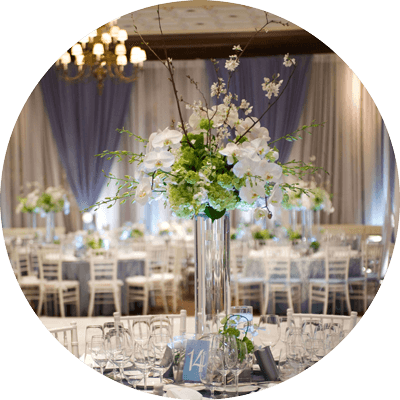 Weddings are a fairy tale moment at the Duquesne Club, with a choice of magical settings and a menu selection that truly makes memories. Our professional and friendly staff are ready and eager to be attentive to your every need. Our banquet and catering team has the knowledge and experience to help plan every detail of your wedding. From a cocktail hour in the breathtaking Garden Patio, to a reception in the elegant Main Dining Room, members and their guests will enjoy every moment. Family celebrations are best at the Duquesne Club. From birthdays, baptisms and bar/bat mitzvahs to anniversaries, retirements and reunions, your Club can host the celebration and provide hotel accommodations. The Duquesne Club hosts many private weddings, anniversaries, birthdays, and company gatherings. Only Duquesne Club members may sponsor events.